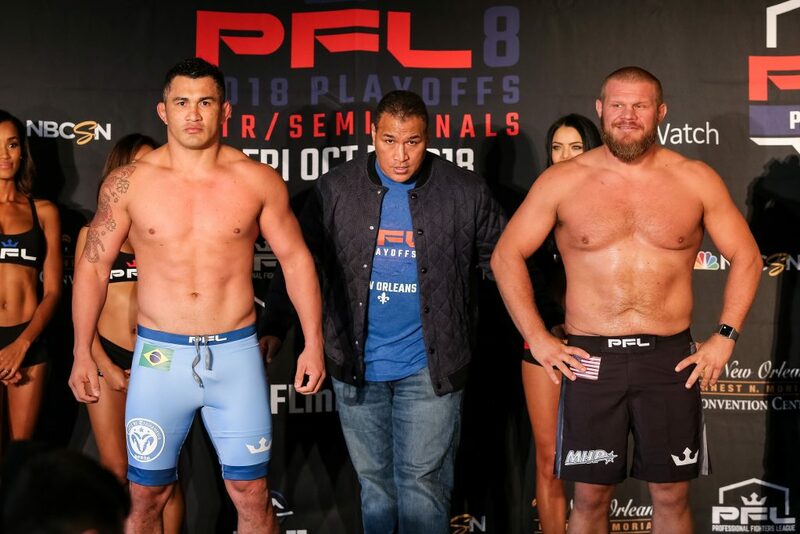 The Professional Fighters League (PFL) announced today that all 20 fighters scheduled to compete on the 2018 Playoffs opener made weight, making the 14-bout card official. The top eight finishers in the featherweight and heavyweight divisions will square off at the Earl N. Morial Convention Center in hopes of punching their ticket to the 2018 Championship event set for New Year’s Eve. Number one seeds Steven Siler and Francimar Barroso tipped the scales under their division limits and will face off with number eight seeds Nazareno Malegarie and Josh Copeland respectively. 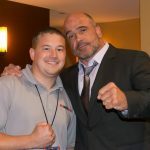 The card will begin with a pair of alternate fights before the eight quarterfinal bouts that will determine who will be matched up in the semifinal fights later that evening. The bracketed playoffs will conclude with two fighters in each division headed to New York City for a Dec. 31 showdown with the winner cashing a seven-figure check and being crowned PFL champ. PFL8 will be broadcast on NBC Sports Network beginning at 10 p.m. ET. The quarterfinal fights will be streamed on FaceBook Watch beginning at 7:30 p.m. ET.